Not a complicated error to explain, but a lot going on. 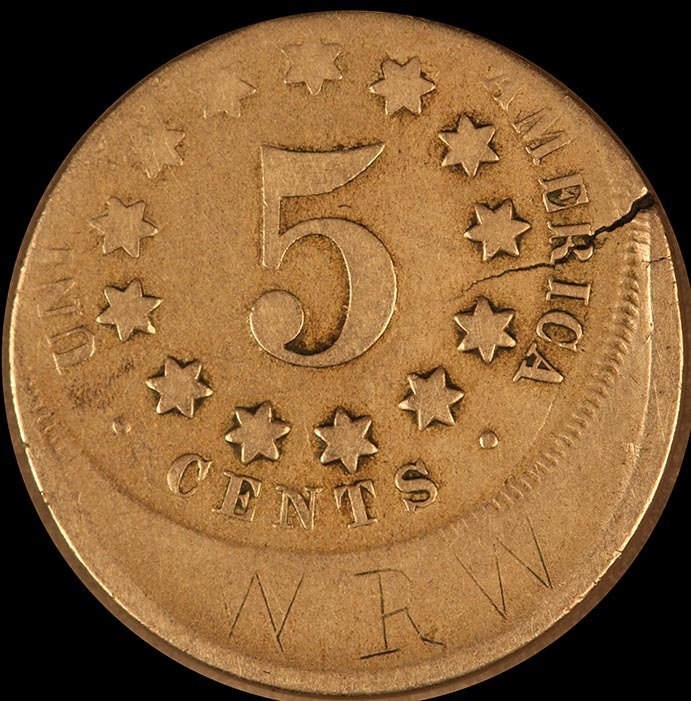 The coin was struck off center in such a way that the date does not appear on the coin. 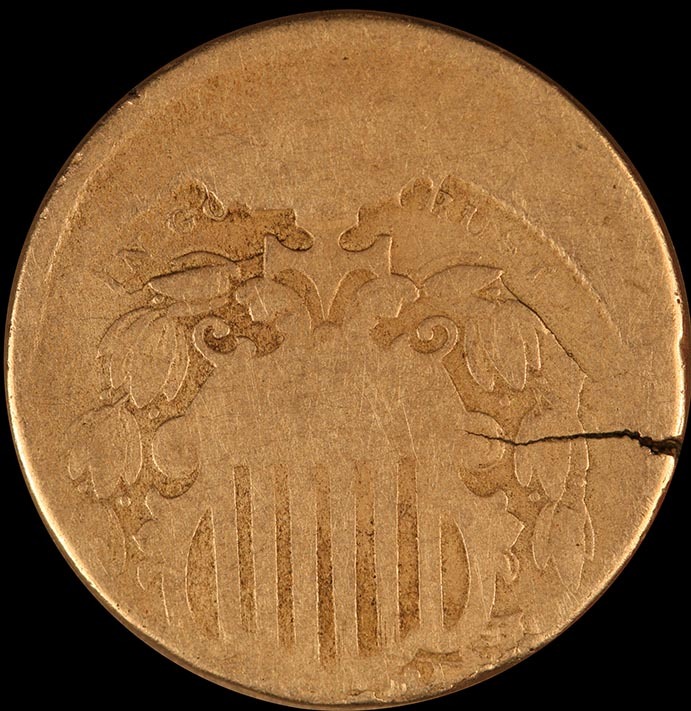 The planchet was cracked before striking. There is a cud over the upper obverse, obscuring the center of In God We Trust. For good measure, someone carved initials on the reverse.